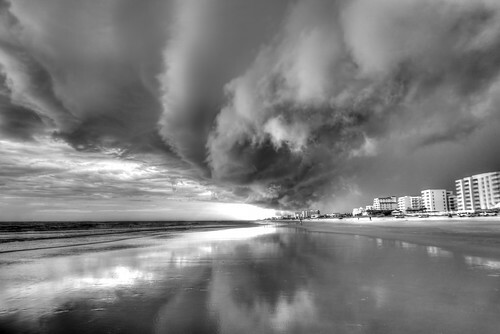 A Storm On New Smyrna Beach, FL, by Taran Rampersad. All rights reserved. I recently took the level one course on Mediation at the Conflict Resolution and Mediation Centre of Trinidad and Tobago. This by no means makes me an expert on mediation (yet? ), but it makes me more informed than others. Conflict is something we deal with every day. Conflict is not something we’re always good at dealing with, either, no matter how well we think we do. Therefore, sometimes we need that catalyst to move things forward – and mediation has many advantages over other ways of dealing with conflict. You can learn that in the courses. How we deal with conflict varies from person to person, from organization to organization, from incident to incident, and is biased by things as simple as having a good night of sleep or not – or being triggered by things that may or may not have a bearing on the situation. – Haruki Murakami, Kafka On The Shore. Mediation is one way out of the storm that facilitates the communication necessary to resolve conflict. It’s about being neutral, about being confidential and thus allowing trust between parties. It’s about actual communication beyond the dueling monologues we encounter all too often. It’s about facilitating resolution. And, it’s a process. Mediation happens all around us every day, and it’s the sort of thing you don’t read or hear about – it’s necessarily confidential. From family disputes to business disputes, it facilitates the resolutions. And, through what I expect were relatively simple vignettes, I can tell you that it’s not easy to do and that not everyone can mediate. Because of all of that, because of training I hope I will not waste, and because of my own background I saw other things not covered by the course. It gave me new tools to look at things, a new lens through which I could focus my mind. In that way and other ways, I highly recommend the training at the Conflict Resolution and Mediation Centre of Trinidad and Tobago. Check out the CRMC Facebook page as well. Like any good training, you get out of it what you put in. More than that, though, is that lens through which we can look at other things. I’ll be writing more about these things over the course of the next few entries – new ways of looking at things that have been on my mind that may not relate directly to mediation itself.